More than thirty years ago and armed with little more than a camera and a vision, Western writer and photographer Nancy Wood set out in a battered Subaru to capture a vanishing part of the American West. Focusing on the Grass Roots People of Colorado, the Utes, Taos Pueblo, and homesteaders of Pie Town, New Mexico, Wood devoted nearly twenty years to cataloguing the lives of the rural inhabitants. The result is in an intimate portrait achieved through Wood's long associations with each subject. 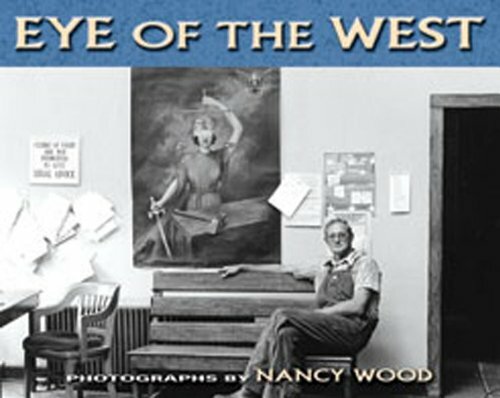 'Eye of the West' covers Wood's photographic career and pays tribute to the ideas and techniques she acquired from her mentor Roy Stryker, director of the Farm Security Administration Historical Section. These multiyear perspectives are a rare glimpse into a forgotten past and a unique part of the history of the American West.